No matter the type of hire, there is always an investment cost associated with expanding your workforce. But what happens when your temp workers cost your company more than the performance and productivity they bring to the table? You'll also learn how productivity can be increased within your company by pursuing performance-based temporary labor. 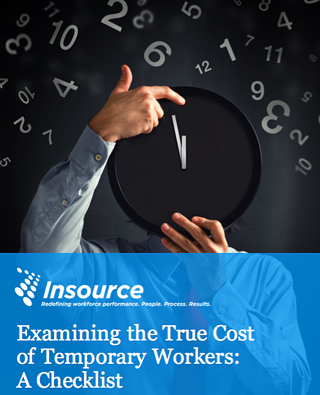 To receive our checklist, Examining the True Cost of Temporary Workers, please fill out the form on this page. A copy of our checklist will be delivered directly to your inbox.